Postmenopausal black women with heart attack or coronary heart disease experienced significantly lower treatment rates than Hispanic or white women. Overall, treatment rates for heart attack and coronary heart disease increased over two decades but treatment rates did not significantly improve for black women. ARLINGTON, Virginia, April 5, 2019 — Despite improvements in heart attack and heart disease care for older women, black women still experience significantly lower rates of treatment when compared with whites or Hispanics, according to preliminary research presented at the American Heart Association’s Quality of Care and Outcomes Research Scientific Sessions 2019, a premier global exchange of the latest advances in quality of care and outcomes research in cardiovascular disease and stroke for researchers, healthcare professionals and policymakers. A two-decade study showed an overall increase in heart attack and heart disease treatments after the 2005 publication of standard treatment guidelines, but racial disparities persisted. Specifically, postmenopausal black women were 50 percent less likely and Hispanic women were 16 percent less likely to be treated when they arrived at a hospital with heart attack or coronary artery disease symptoms when compared to white women. This gap persisted after accounting for education, income, insurance status and other heart health complications such as diabetes and high blood pressure. Cardiovascular disease is a leading cause of death causing one death every 80 seconds among women. Rapid treatment is critical and while treatment rates appear to be improving, they do not appear to be improving equally for all groups. 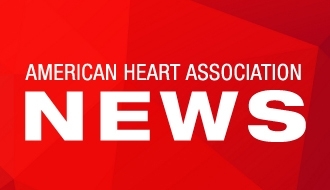 Black women who had a ST-elevation myocardial infarction (STEMI), the most serious type of heart attack where an artery is completely blocked, had lower rates of treatment pre-2005 (15 percent lower) and post-2005 (39 percent lower) compared with whites. Restoring blood flow to the blocked artery within 12 hours of an acute ischemia or a heart attack is the gold standard of treatment, however, black women had a 33 percent lower rate of receiving this therapy regardless of timing, and a 23 percent lower rate of receiving it within 12 hours of heart attack symptoms. Hispanic women with acute coronary syndrome or coronary heart disease also faced lower rates of treatment before 2005 (23 percent lower), but the gap narrowed slightly after 2005 (7 percent lower). Researchers did not find any difference in treatment rates when looking at socioeconomic status. Tertulien said while her study did not focus on the factors explaining these racial disparities, she said it’s possible blacks and Hispanics may lack awareness about heart attack symptoms or be less likely to use emergency services, they may be hesitant about invasive procedures to open blocked arteries and there may be provider biases. She said additional research is needed to understand the origin of these disparities and to work with patients, communities, hospitals and healthcare providers to develop timely interventions for all. Co-authors are Khadijah Breathett, M.D. ; Crystal Wiley Cene, M.D. ; Giselle Corbie-Smith, M.D. ; Rami Nassir, Ph.D.; Matthew Allison, M.D. ; Mary B. Roberts, M.S. ; JoAnn Manson, M.D. ; Charles B. Eaton, M.D. Author disclosures are on the abstract. The Women’s Health Initiative is funded by the National Heart, Lung, and Blood Institute, National Institutes of Health and the U.S. Department of Health and Human Services. Note: Scientific presentation is 6 p.m. ET, Friday, April 5, 2019. Fourth year medical student, The Warren Alpert Medical School at Brown University, Providence, RI.